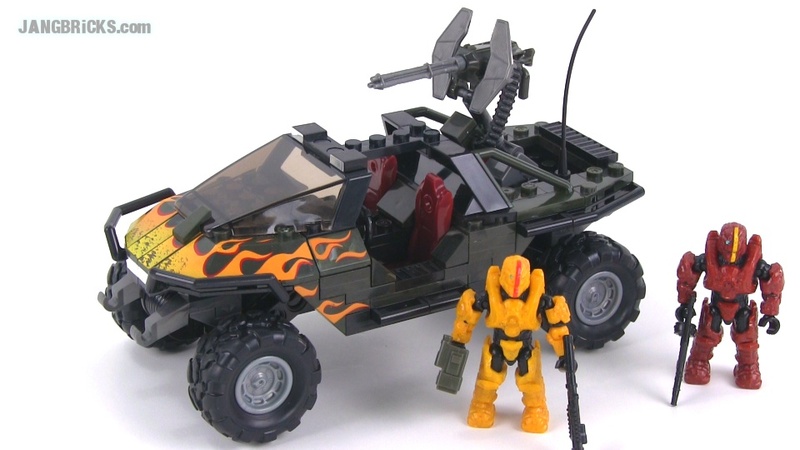 Not just for recon operations, the all-new UNSC Flame Warthog by Mega Bloks Halo tackles multiple missions. The M12 Force Application Vehicle is the UNSC’s primary ground vehicle, commonly used for its scouting and reconnaissance capacity. With an actual working suspension and 360 rotating turret, the highly mobile all-wheel drive “Hog” with all-new flame paintjob is clearly ready for battle! Features two new super-articulated micro action figures with customizable armor, includes 2 Spartan GUNGNIR.